During the rest of this week you can catch the South West Academy Open exhibition at St Stephens in Exeter (opposite Urban Outfitters) . Exhibitors include old friends Anna Grayson & Des Maxwell Clark, and Maureen Fayle from Teignmouth, who received a well-deserved commendation for her picture of Hay Tor. 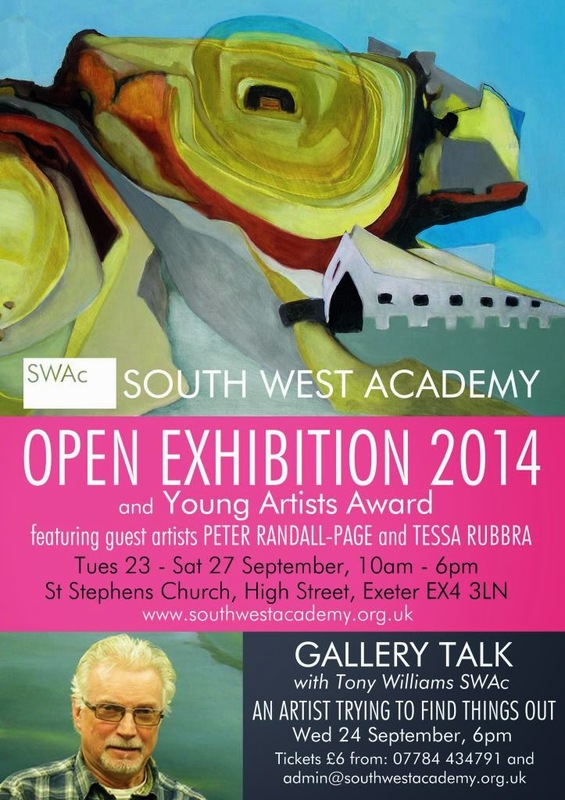 While most of the 2014 Devon Open Studio exhibitions are now finished, the work at TAAG remains on show until Saturday. The artists are Angie Jenner, Julia Vella, Amy McCarthy and Michelle Greenwood Brown and the work includes mosaics, glasswork, and some innovatory illuminated painting. Also on show at the TAAG gallery are some colourful abstracts by Paul Ansell, which are well worth a look. Both the Teignmouth and Exeter exhibitions finish on September 27th.